They say that if a butterfly flaps its wings, it can create a hurricane on the other side of the world. 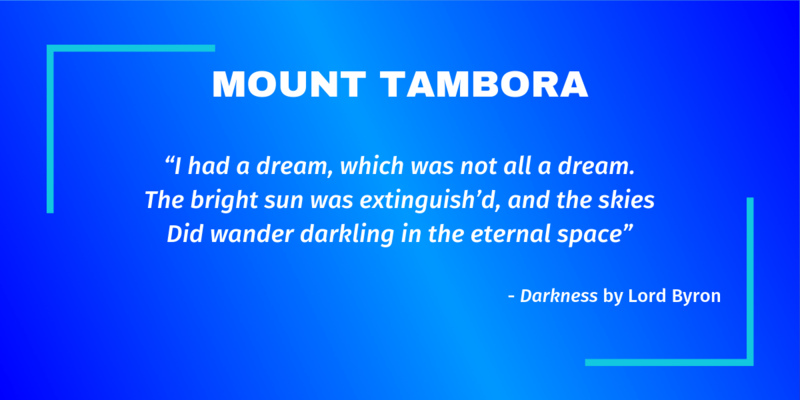 Mount Tambora erupted with a lot more force than a butterfly’s wings, and it changed the weather all around the world. Late monsoons, droughts, floods, storms, snow and frost in the height of summer, and endless days without sun. It was called The Year Without Summer by some; the Year of the Beggar by others. 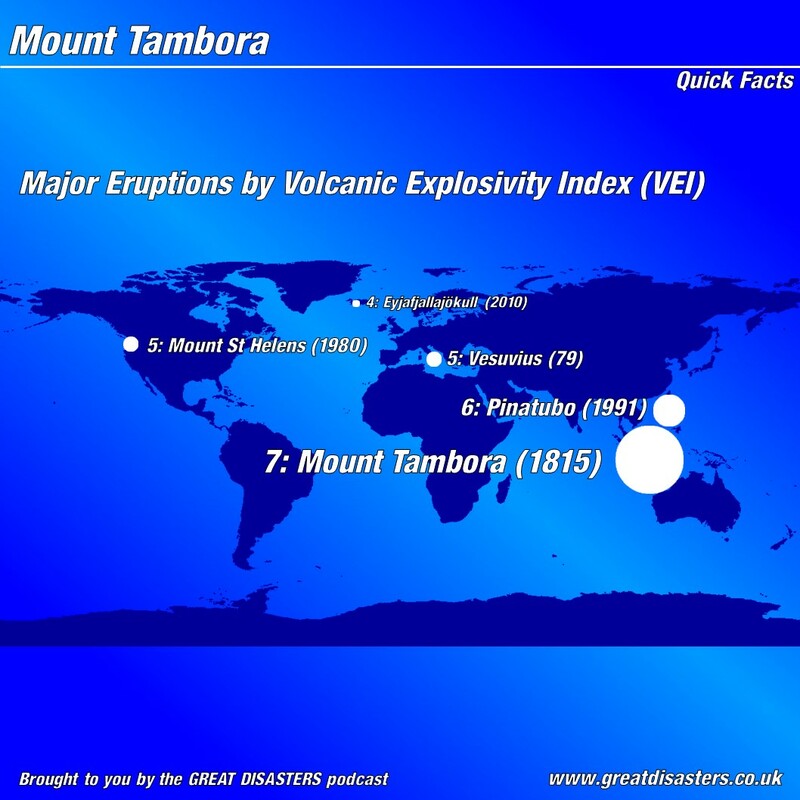 By comparison, other volcanoes like Vesuvius may be more famous – but Tambora was bigger than them all. Just a quick note on the infographic below- Krakatoa (1883), which measured 6 on the VEI, isn’t shown because it’s too close to Tambora – just a few islands away. Supporting the Great Disasters podcast on Patreon can give you access to exclusive content, including at least one mini-episode per month, and helps the show keep going.